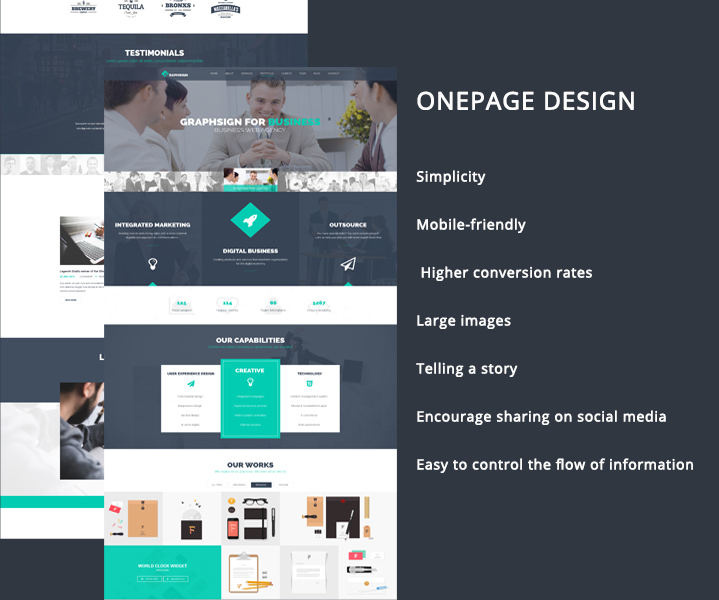 Business is the creative onepage business Joomla template created with love by JoomlaUX for you to build up your own website easily. It is developed with not only elegant HTML5/CSS3, running on HELIX 3 Framework with meticulously whole-hearted design but also high compatibility with Joomla! 3.5 - the newest version of Joomla. 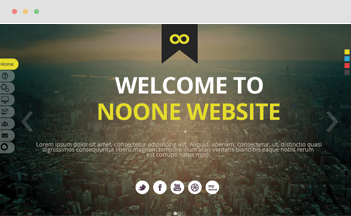 Besides, we crafted this template with full functions that are suitable for any online site, no matter type of your website is digital marketing agency, business, corporate, portfolio, graphic design, private website, or any other types you want. Business is fully responsive and retina ready so that you can display anything you want perfectly on different devices such as computer, laptop, tablet, smartphone. The retina ready technology is to give us sharper images. The idea behind retina ready is to create something that would look as sharp as it would in print. Colors are bright and high qualification because you get more pixels per inch on retina ready devices. Business gives you 2 pre-made options to layout your site. The wide layout will fill your screen with front-end of website whereas Boxed layout will shape your site into boxed and the background is covered by a beautiful background image. The One-page design is the hottest trend of designing a website. 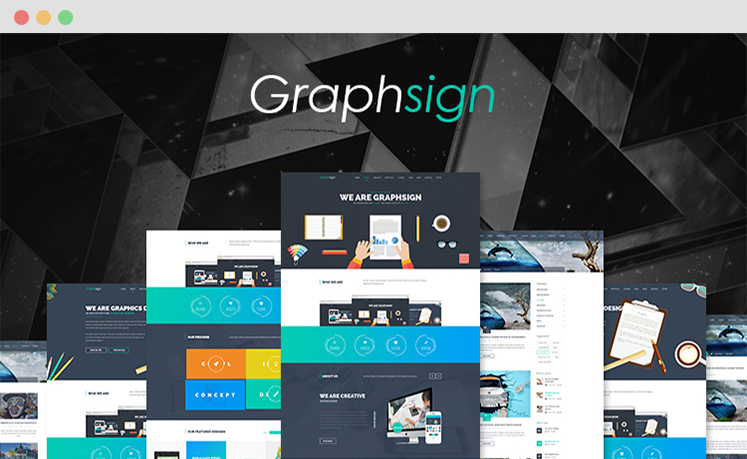 Business – One page Corporate Business Template is designed for the best vehicle for delivering messages to readers. Instead of wasting the time of switching among pages, the visitor will take a journey to your content just by following from top to bottom of only one page. It does not need too much patience to do that and save more time wasted. Therefore, the One-page design is better than traditional design in shorter coding, using more images, and it’s affordable with a higher rate of conversation rate. JUX Joomla Portfolio is such a powerful Joomla extension that you can show your various images in creative style in the user interface. This is a new way to display thumbnails on a grid or classical layout with different sizes. Therefore, it will definitely grab visitors’ hearts. • Cross browser compatibility: IE10, IE11, edge, Firefox, Chrome, Opera and, Safari.